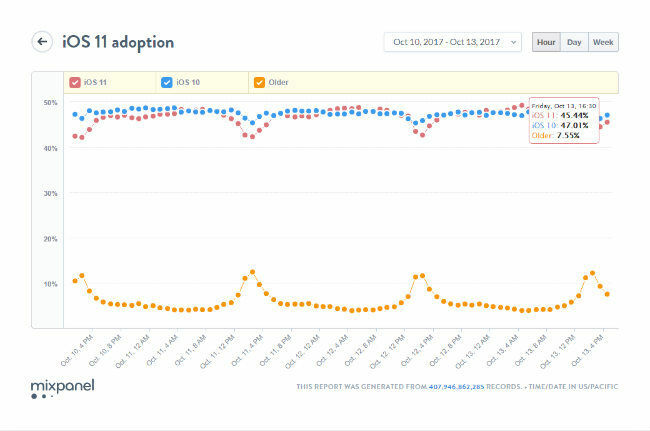 The data released by Mixpanel Trends reveals that iOS 11 adoption is slower than iOS 10’s adoption rate. The report compares the real-time installation data of iOS 11, iOS 10 and its older versions. Apple released its iOS 11 for all its supported iPhones and iPads on September 16. The adoption of iOS 11 has been reported to surpass that of iOS 10. The data released by Mixpanel shows the adaption of various iOS versions over the years. The data reveals that since iOS 11 launched, it has managed to attain 45.44 percent adoption rate. This means it is close to surpassing iOS 10’s adoption rate from last year, which is of 47.01 percent. The new iOS 11’s upgradation seems to be lagging somewhat behind when compared with last year’s adoption of iOS 10. Apple users not upgrading to the latest iPhones due to the delayed release of the iPhone X could be a major contributor for the slow upgradation of iOS 11. According to a previous report, Apple is being said to miss its “Super cycle” as the iPhone X is facing some production issues. Apple recently released a new update of its iOS 11, the iOS 11.0.3. It is an incremental update which fixes a minor sound and touch input issues for the devices running on iOS 11. 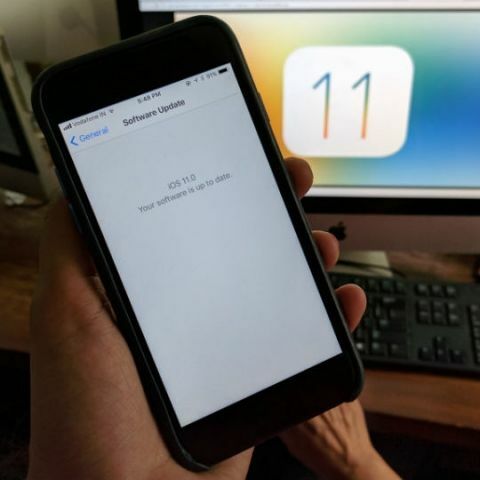 The company also released the iOS 11.1 Beta 2 for its beta testers on iPhones and iPads. The beta update reintroduces the 3D-Touch gestures for faster multitasking, new Unicode 10 emojis and more features. user interface, better in tasking. IPHONE 5S has IOS 6 or IOS 7?